Rock painting and rock touch up is an art all in itself. 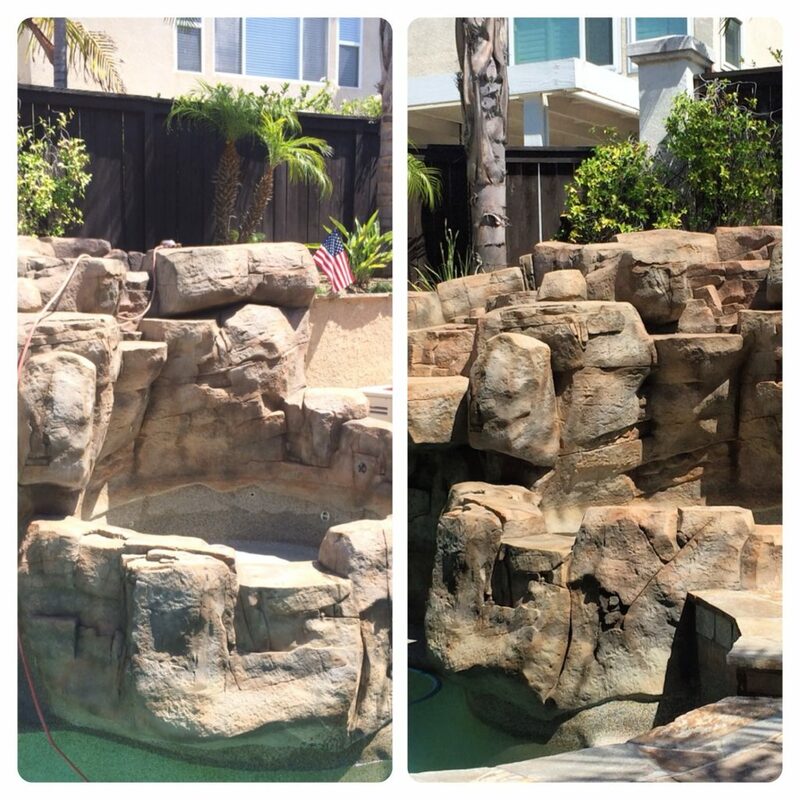 We have the ability to approach any pool with artificial stones or rock features, and bring them back to life. Rock touch ups consist of applying a semi modified acrylic on a small percentage of surface area to add depth, tone, and definition. Rock painting generally consists of taking existing rock features that need a total makeover and working with the customer to achieve their desired look. This sometimes entails starting with a blank canvas and being as creative and colorful as possible. Other times it calls for taking an existing colored rock feature, and completely changing the colors, tones, and texture. 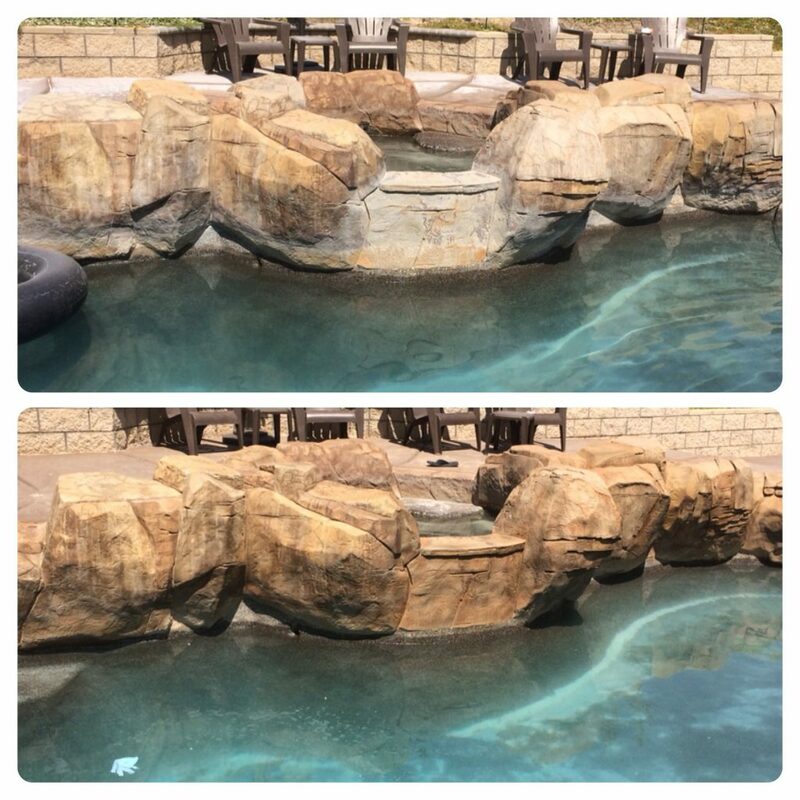 During pool tile cleaning procedures, removal of calcium on these artificial rocks at on the pool water line, unfortunately exposes the underlying aggregate. We can blend existing colors, and fan right over the colorless portion that has been cleaned. Our goal is to give the concrete the appearance of natural rock. Ultimately our level of skill, along with the vision of what the customer wants, effectively completes the final touch on what is an enjoyable, presentable, and inviting pool. 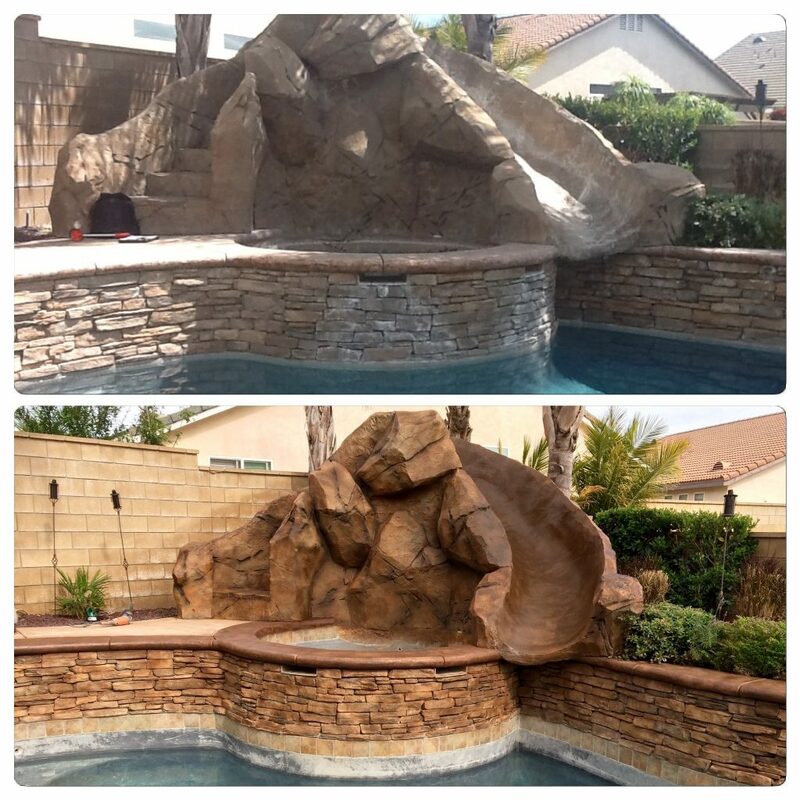 Pool Rehab understands that rock painting is an art. We can make your artificial rocks look like they came from Triberg Waterfalls. Contact us today for an estimate.